One Chair, one dancer, one audience. 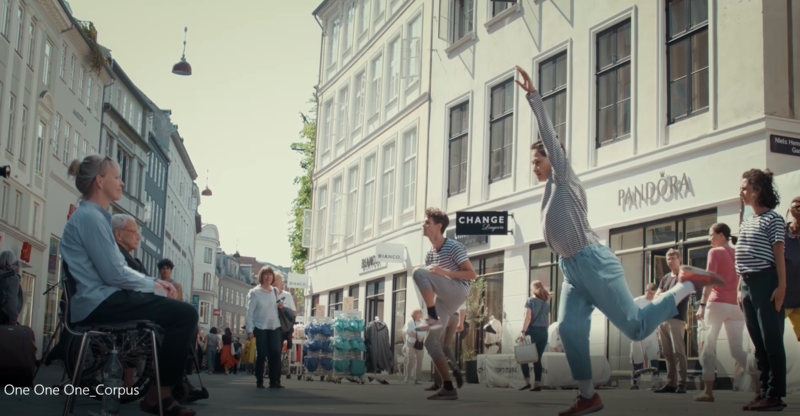 In the beginning of the summer The Royal Danish Theatre’s dance company Corpus presented choreographer Ioannis Mandafounis’ piece One One One in serveral different locations around Copenhagen (Mads Nørgaard store at Strøget, Ofelia Plads, the courtyard at Kunsthal Charlottenborg, and the hospital Riget). The Suitcase tagged along for two of the performances in order to explore how the different surroundings and framings affect audiences reactions to this particular experience. Read our reflections in our Report # 15 Reaching out with One One One.